North Kelvin Community Council is holding an interim election this summer to fill 6 (six!) vacancies. We would be delighted to hear from you if you are interested in joining us. We hold 10 meetings a year on the first Tuesday of the month (no meeting in July or December). At meetings we discuss council business such as planning applications, hear reports from our City Councillors and the local police, and provide a forum for local residents to raise concerns. Our aim is to improve our local community and to transmit community opinion to Glasgow City Council. 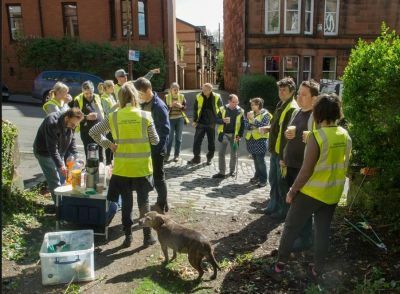 Help us make local democracy work for North Kelvin and make this an even better place to live! You can find out more about how community councils work on the GCC website. Full details of how to apply are in the public notice (download or see below), but feel free to contact us with any questions. For those whose names do not appear on the Electoral Register, a supplementary form to be accompanied with original documentation which confirms place of residence, can be obtained from Glasgow City Council (see below). This form should be returned by 12 noon on Friday 27 July 2018. There are currently 6 vacancies being advertised for North Kelvin Community Council. Valid nomination forms must be submitted to Glasgow City Council (see below) by 12 noon on Friday 27 July 2018. Should 6 or fewer valid nominations be submitted to Glasgow City Council, the candidates will be elected unopposed on Tuesday 7 August 2018 at 6:30pm in St Charles Church Hall, 1 Kelvinside Gardens, Glasgow G20 6BG. Should more than 6 valid nominations be submitted to Glasgow City Council by 12 noon on Friday 27 July 2018, a secret ballot will take place on Tuesday 7 August 2018 in St Charles Church Hall, 1 Kelvinside Gardens, Glasgow G20 6BG. Qualifying residents* will be entitled to cast up to 6 votes during the ballot opening hours 5.30pm – 8.30pm. A list of candidates will be publicly advertised before the secret ballot. The results of the secret ballot will be confirmed at the next scheduled meeting of the community council.